One hundred years ago, Baron Munchausen landed on Mars. In his adventures, the fabulous, if fictional, German nobleman had gone deep underwater and visited the moon. But in 1915, Mars was the fashionable place to visit, and Munchausen was not going to miss out. And no proper trip to Mars was complete without an encounter with a Martian. But which kind of Martian? Bug-eyed? Blue? Smart? Dumb? These questions still plague us. Today, with the mounting evidence of water on Mars, scientists are predicting we’ll find signs of alien life within the next decade; NASA is restarting development of rockets that could send a ship to Mars; and Earthlings are once again imagining what sort of life we might find there. A few months ago, some sharp-eyed observers of images from the Curiosity rover were convinced that they’d spotted a mouse on the planet’s surface. As Redditors pour over the grainy, zoomed-in photo, they are unwittingly participating in a long history of humans speculating on Mars life—either through science or fiction. 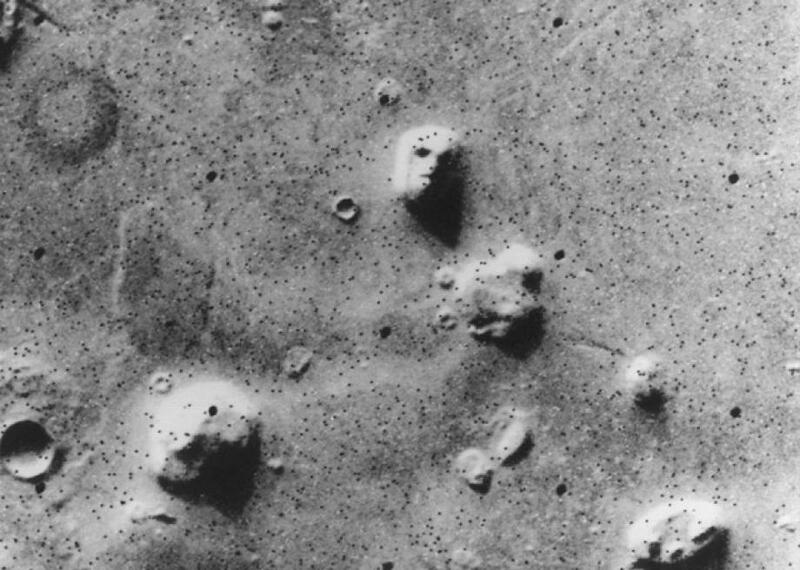 At the tail end of the 19th century, Percival Lowell, an amateur astronomer and Boston Brahmin, published Mars, a popular account of Martian geography, including, most notably, canals presumably built by some advanced civilization. His book was nonfiction, but it launched Mars in the popular Western imagination. Subsequent explorers who reached the Red Planet found flourishing societies of all sorts of Martians—some humanoid, some less so. In the Baron’s case, he met Martians who communicate telepathically and consume gas; more advanced than Earthlings, they have sprawling cities with elevated roadways and giant globes lighting the streets from above. But the Baron’s Martians are just one of many species that humans have imagined finding on Mars. What humans imagine living on Mars—from blue-skinned vegetarians to eyeless “rabbits” to this week’s giant mice—reveals so much more about us than them. The first accounts of meeting Martians began in the 1880s, after Giovanni Schiaparelli’s 1877 announcement that he had discovered channels—canali, in Italian—on the face of Mars, hinting at the possibility of life on our neighboring planet. Just three years later, one of the earliest fictional expeditions had reached Mars, in a ship named the Astronaut. Almost immediately after landing on the planet, the lone explorer of Across the Zodiac encounters a polygamous society of “Martialists”—diminutive men and women, less than 5 feet tall, who look a little bit like Swedish people and dominate the planet. They’re an agricultural society: They raise one-horned antelopelike creatures, birds “about twice the size of a crow,” and a range of crops, that, besides their color, basically resemble plants on Earth. In early Martian encounters, most species of Martians closely resembled humans, as Robert Crossley documents in Imagining Mars. They differed only in their size, their coloring, and their skill at living in harmony. 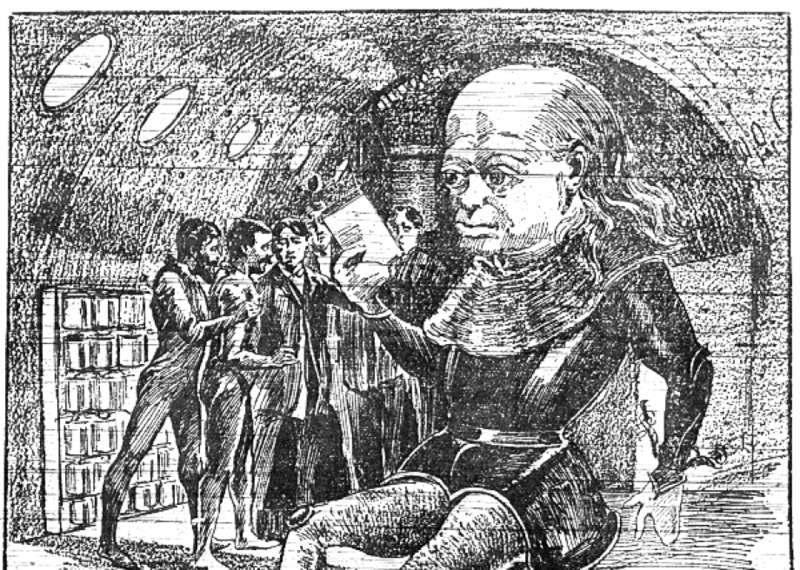 In Aleriel (1883), Martians are about twice the size of humans and much more hairy; in Mr. Stranger’s Sealed Package (1889), besides being blue, they are essentially the same as humans—they even share ancient ancestors. A Martian prison from 1898. It’s not until 1890 that space travelers encounter Martians that are notably weird-looking: In A Plunge Into Space, Martians have extra long toes, elephantlike noses that they use to slurp up nectar, manes and their own unicorn horns. All these species of Martian, however, have managed to build more perfect societies than our own. Some have the same dreamy, garden-filled cities that Baron Munchausen found, and some are vegetarian and some never question the wisdom of science. Martians, in Earth’s early imaginings, have a much better deal than humans on Earth. But, it soon emerged, life on Mars was not as perfect as we Earthlings had assumed. Earth-Mars interplanetary relations began to develop more seriously at the turn of the century; in 1895, Lowell published his book Mars, which popularized the idea that Schiaparelli’s Martian channels—now seen as engineered canals—were evidence another intelligent civilization just 140 million miles or so away. Those canals, though, signaled that the Martians had a resource problem. Their planet was drying up, and the canals, huge enough to be visible from Earth, were constructed to siphon water from the poles. By 1897, the Martians had launched more than one expedition to Earth, in order to exploit our planet for its resources. In Auf Zwei Planeten, a German classic of science fiction, an Arctic expedition happens upon a Martian base at the North Pole. These Martians, like the ones humans had previously encountered, were human-looking enough, although their eyes and foreheads were unusually large, and they lived in a more utopian society than ours. But, it is eventually revealed, they have come to Earth to steal our planet’s energy, and don’t exactly hold humans in high regard. Wells’ Martians were not friendly. The polar Martian presence, though, is peaceful when compared to the first full-scale Martian invasion of Earth, in H.G. Wells’ War of the Worlds. These Martians are nothing like humans and have little interest in communicating with or teaching us. 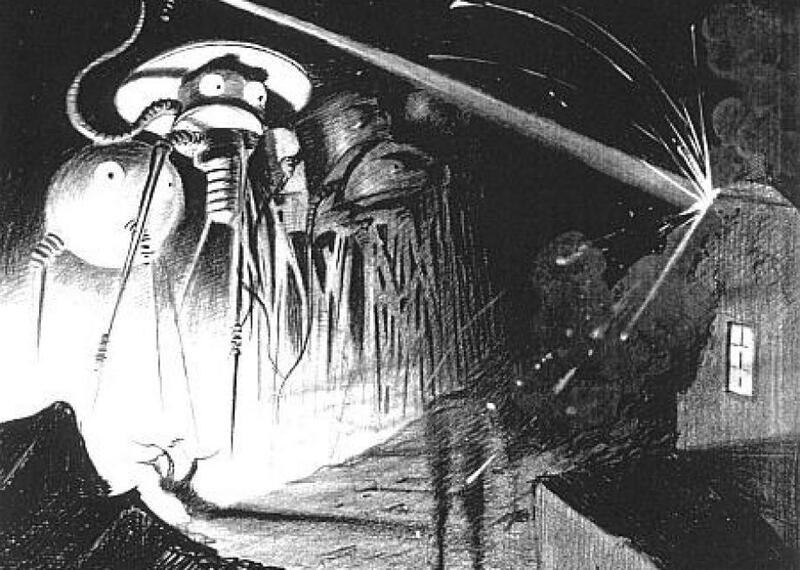 These Martians have “a big grey rounded bulk” that “glistened like wet leather,” large dark eyes, tentacles and mouths “which quivered and panted, a dropped saliva.” They land in England and, as soon as they emerge from their cylindrical space ships, start killing people with a Heat-Ray. More often, now, the Martians that Earth men meet do not resemble humans. In the 1934 story A Martian Odyssey, the Martian the expedition meets looks almost birdlike, with four-fingered limbs, “a little roundish body, and a long neck ending in a tiny head—and that beak … almost like a cross between a beak and trunk.” In 1930’s Last and First Men, the Martians are gaseous green clouds that can congeal into something more bloblike. Sometimes these Martian are still pacifists or vegetarians, but just as often they are warlike creatures that live up to their planet’s name. By the 1960s, both optimism and fear about what or who might be living on Mars had begun to dwindle. Mounting scientific evidence of the planet’s harsh, dry surface made it seem unlikely that anything had ever lived there, let alone built a giant system of canals. Most often, though, in the second half of this century, Mars is an empty, dry, foreboding expanse that humans colonize (and often regret colonizing). If Martians appear at all, they are long gone. In the 1990s, in Semper Mars, one man discovers hundreds of mummified Martians, more than a thousand years old. We haven’t given up on native Martians entirely, though. In Kim Stanley Robinson’s Mars trilogy, humans have settled on Mars and have begun to breed Mars-native species— such as a bird with stubby wings that’s not quite like any bird on Earth. And when Mars explorers do encounter native species, they are truly alien to us: In 2001, in The Martian Race, a scientist discovers ‘‘Marsmats,” which are large communities of single-celled organisms that can move and shapeshift and even kill humans. If we do encounter Martians, perhaps they will be close to this vision—single-celled creatures that communicate with each other in ways we’ve never encountered. Or perhaps not. We’ve been wrong before, even drawing on the best science of the day. There’s Martian history still to be written. This Brazilian palace island was the site of the last grand ball before revolution. In Boon, Michigan, the largest pyrotechnic community in the world holds its annual convention. Iceland’s “Smoky Valley” is a beautiful river that is shrouded in a constant cover of steam clouds.